Well y’all, dare I say the temps in Florida are actually making a turn towards the chilly and it looks like this week is holding our last few minutes of warm weather! 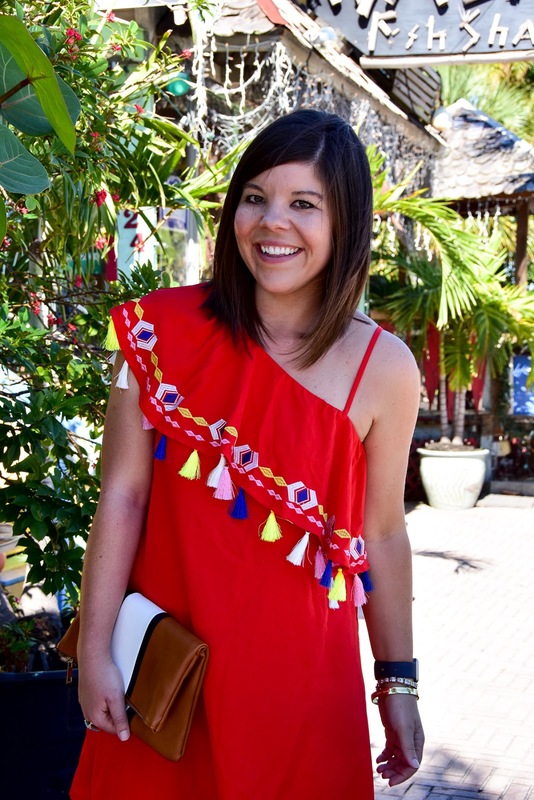 So I’ve decided to go out with a bang and am busting out the ruffles and tassels in full force 🙂 Tassels were one of my favorite trends from this summer and I so hope that they make a reappearance this spring – don’t you? On another note, I’m starting to plan out my Holiday content and I want to know if there is anything y’all want to see? Is there someone on your list who is hard to shop for? Any upcoming parties that you need style tips for? I always want my content to be relevant and helpful so if there is anything you’re dying to see let me know! This dress is so cute! 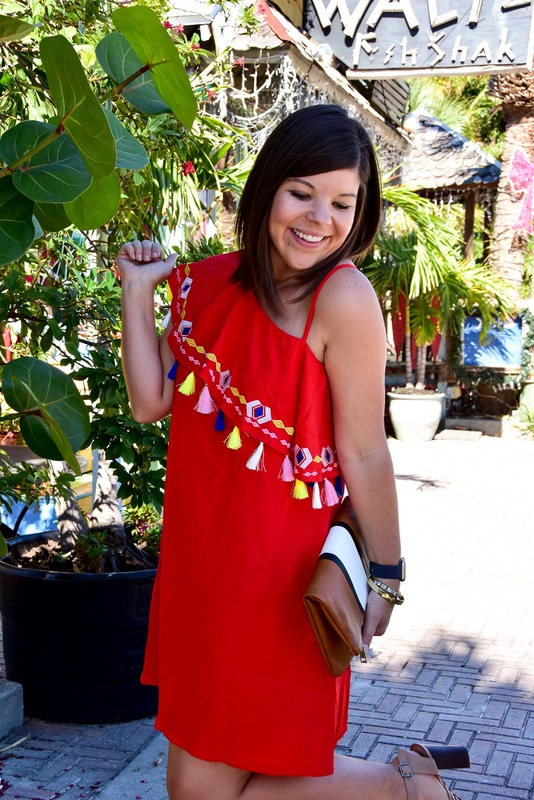 I love the one shoulder and tassel details! But yay for cooler weather!! 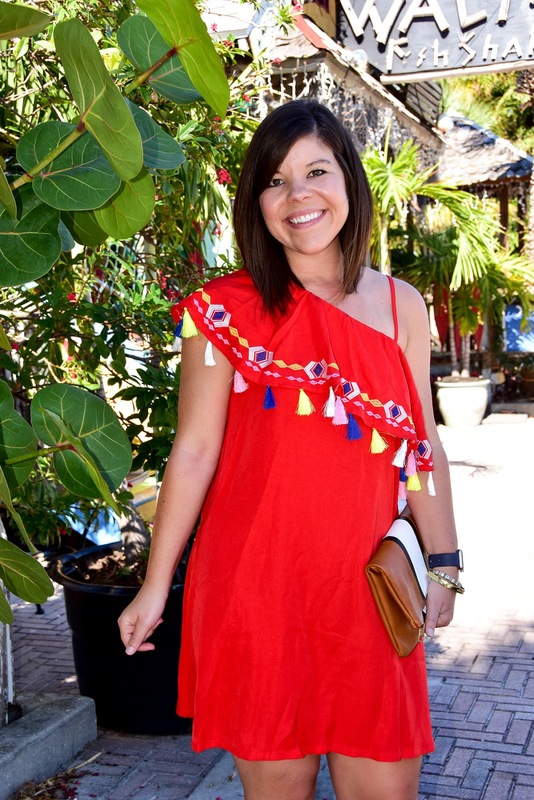 You look like you need to have a margarita in hand and be headed out to a fiesta in this dress – it's too cute! 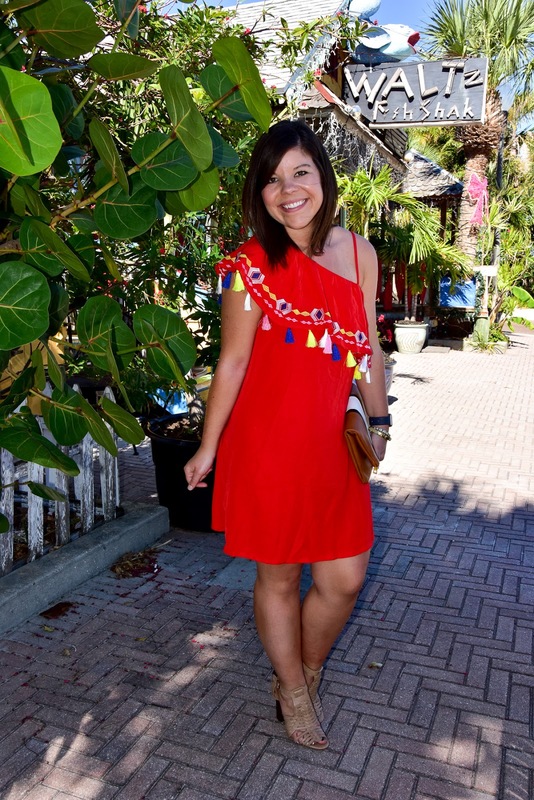 This dress is so fun! 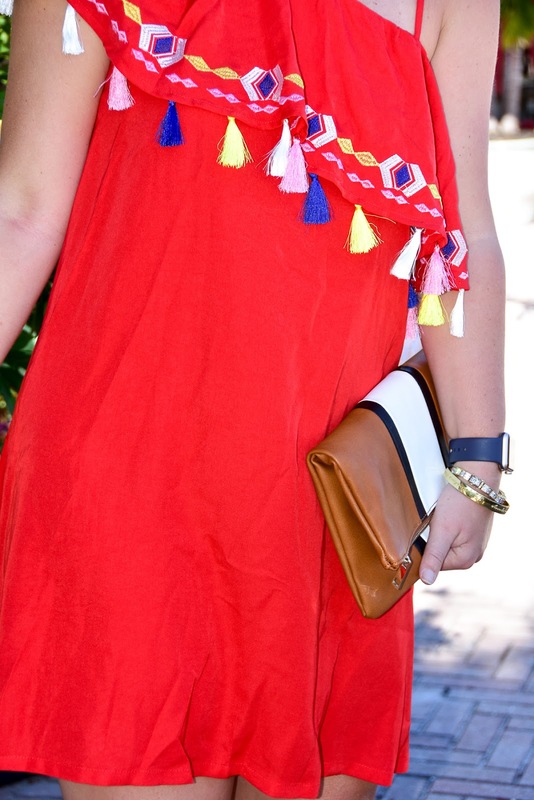 I loved the tassel trend and hope it continues! 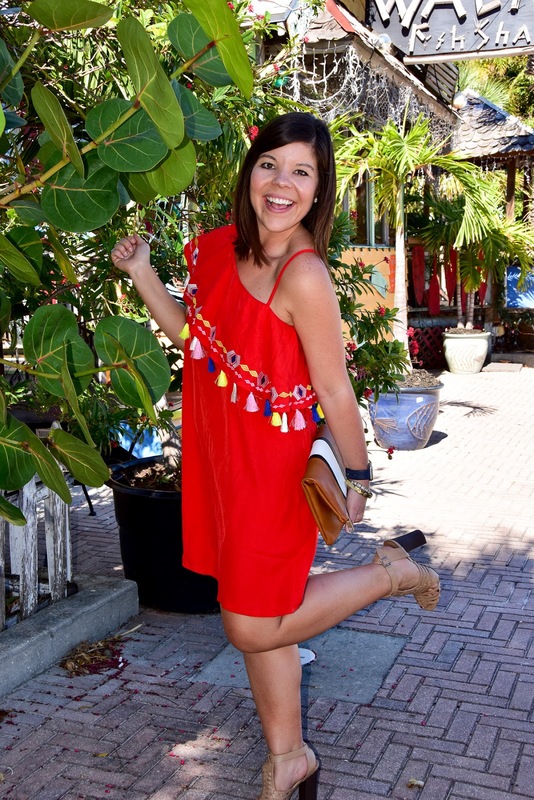 This dress is officially the cutest!! I'm in love!! I see why you want to wear it one last time. It's too freaking adorable!! This dress is the cutest!! 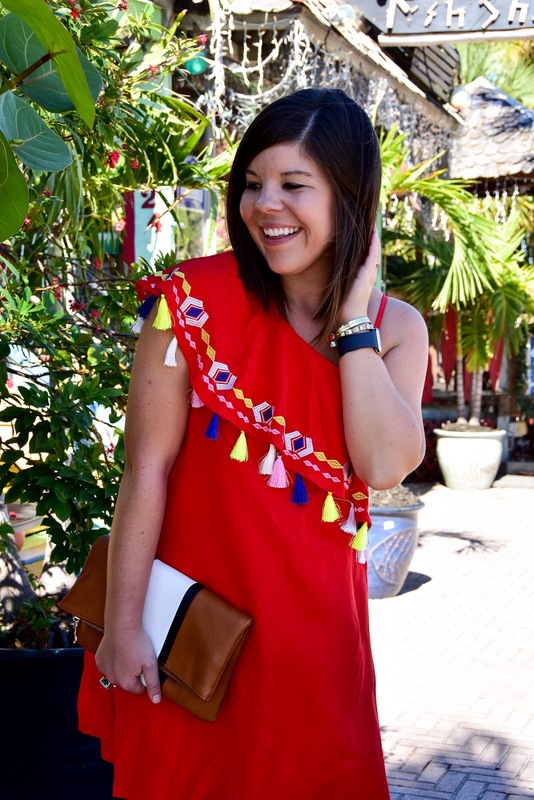 I love the ruffles, tassels and off the shoulder details! SO refreshing to see a bright look right now. Beautiful!